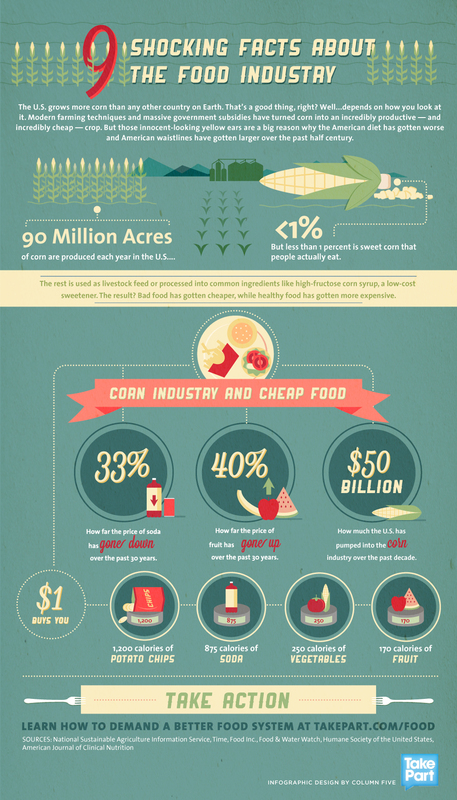 Did you know that America grows more corn than any other country in the world? And while it may sound like a good thing at first, it isn’t necessarily so. Nowadays, corn production has been turned into incredibly cheap crop farming, which, in turn, could be the reason behind the unhealthiness of the modern American diet and the diseases caused by it. It’s true that the food industry has some secrets they don’t want you to know. While it may not be possible to know all the information, you can still inform yourself on some basics. Take a look.